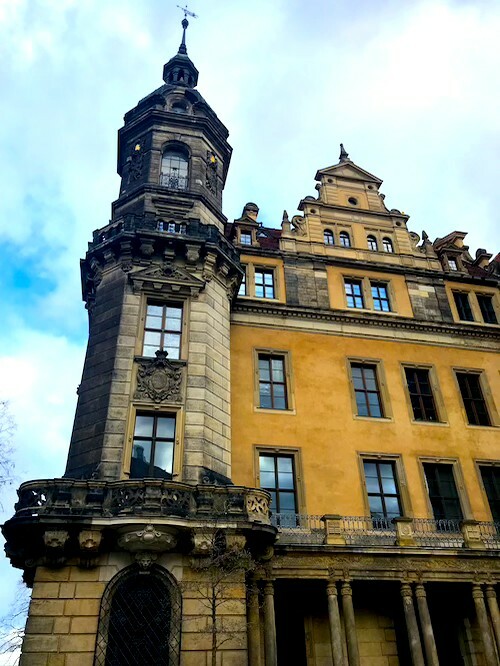 The Zwinger Palace is one of the most beautiful Baroque buildings in Germany. It was built for Augustus the Strong. He was so enthusiastic after his tour of France about the Palace of Versailles, that he wanted a similar palace for his hometown Dresden. 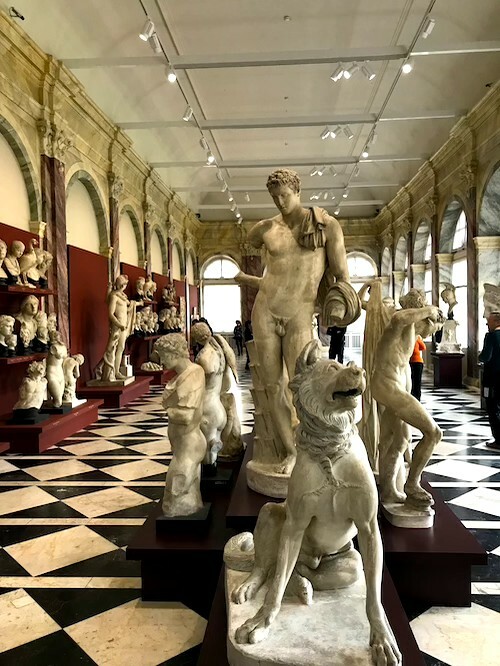 In the Zwinger you can visit three great galleries. The Gemäldegalerie Alte Meister contains an exquisite collection of some of the best European painters. The Dresden Porcelain Collection impresses with a collection of Asian and Meissen porcelain designs from the 16th to the 19th century. The Royal Cabinet of Mathematical and Physical Instruments shows interesting scientific instruments that helped astrologers discover the secrets of the universe back in the 16th century. 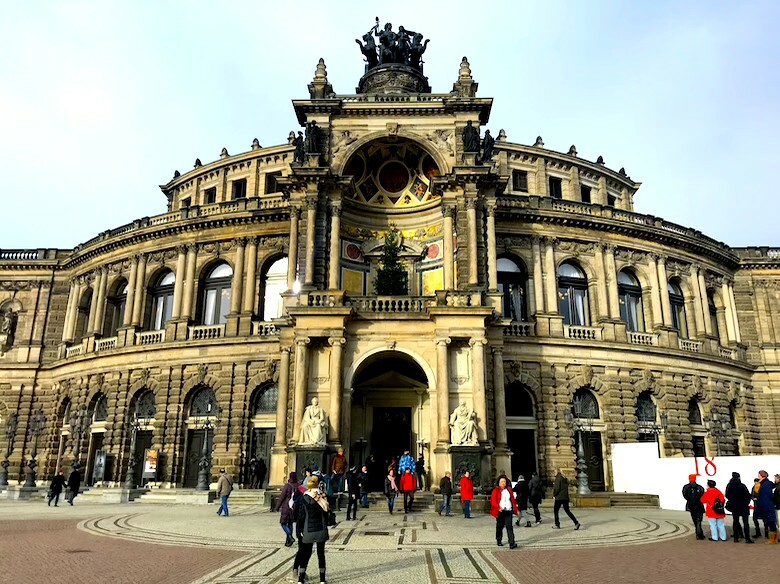 The magnificent Semperoper dominates the Theaterplatz close to the Elbe and forms the heart of the historic Old Town. The original building opened its doors in 1841. It was designed by the famous German architect Gottfried Semper, who combined a late-classical style with Renaissance elements. 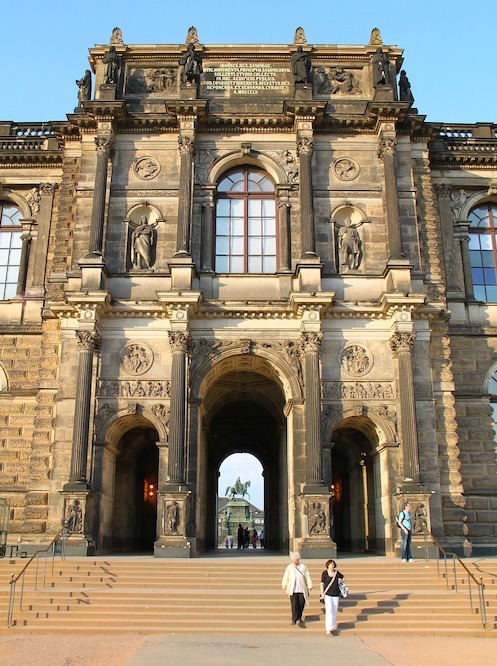 Dresden’s extraordinary Residenzschloss, where the Saxon rulers resided from 1485 to 1918, houses several valuable collections today. The palace itself was bombed in 1945. Although reconstruction began in the 1960s, it was completed in 2013. 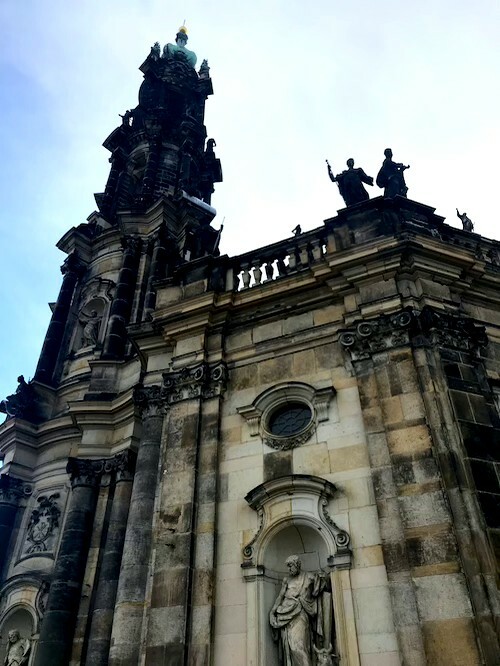 The entire building, including its unique murals and Baroque towers, is simply spectacular. 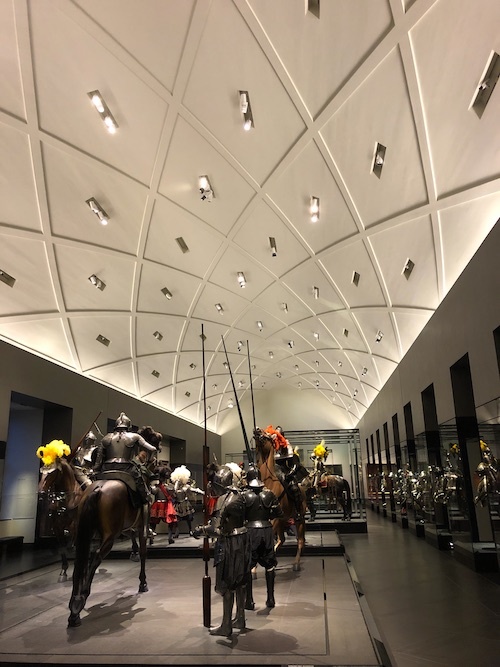 There are several museums inside, but the most impressive ones are the Green Vault, which is the former treasury of the Saxon Wettin dynasty, and the Dresden Armoury with its numerous old weapons, clothes, armor and paintings from the 15th, 16th and and 17th century. 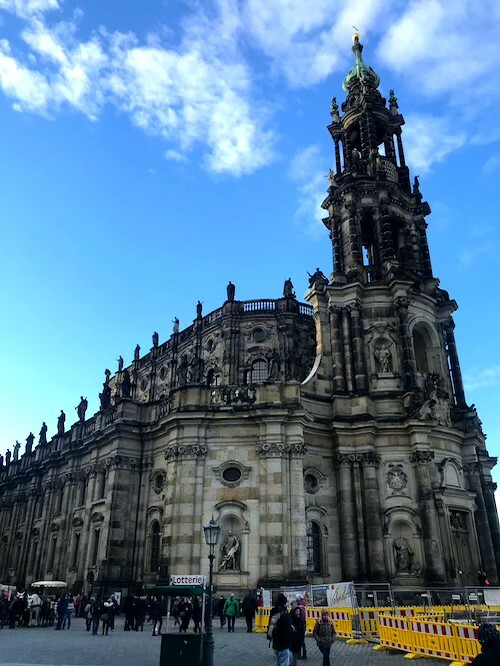 The Dresden Cathedral was built in 1739 by Italian architect Gaetano Chiaveri. 78 figures designed by the sculptor Lorenzo Mattielli adorn the façades and balustrades in the Late Baroque style. 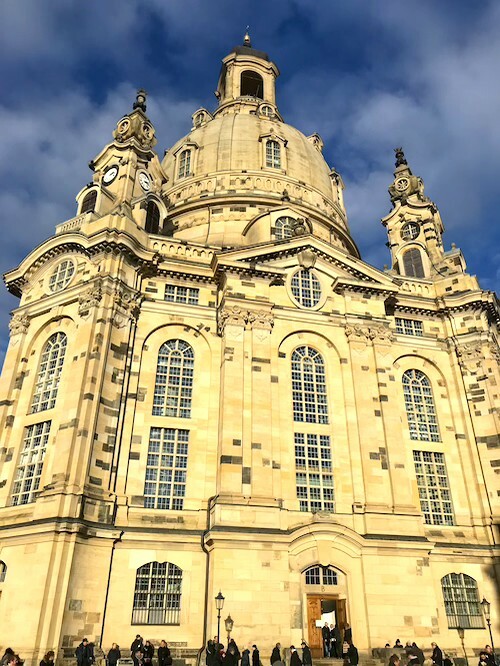 The Dresdner Frauenkirche is one of the city’s most notable historic buildings. 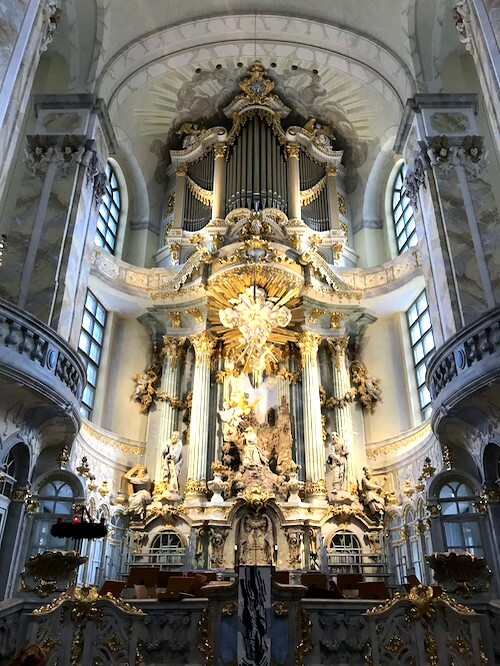 The original Baroque church was built between 1726 and 1743 and was designed by the greatest master of German Baroque style George Bähr. Like many other buildings in the Old Town, the Frauenkirche was destroyed in February 1945. The reconstruction took place in 1993 with about 43 percent of the stones of the destroyed church. 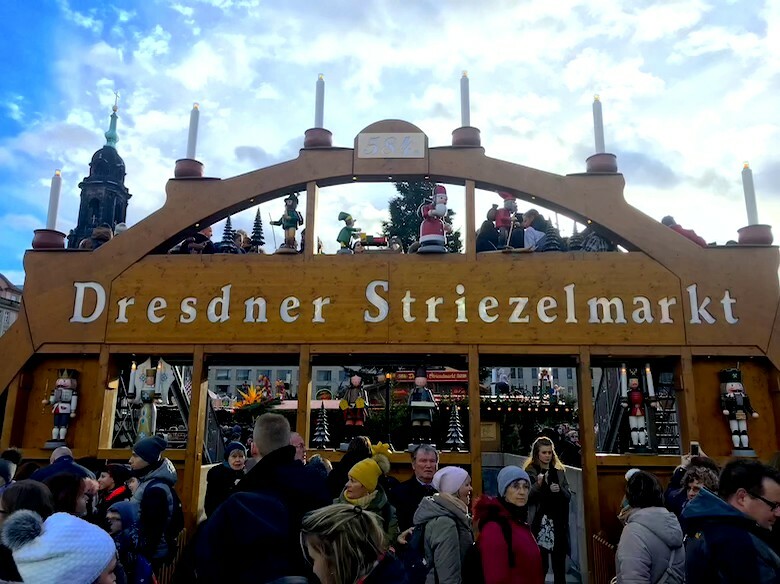 The Dresdner Striezelmarkt is one of the oldest Christmas markets in the world. It is organised since 1434 on the Altmarkt. More than 200 lavishly decorated market stalls and rides await visitors. The Fürstenzug is a gigantic picture of a cavalcade. 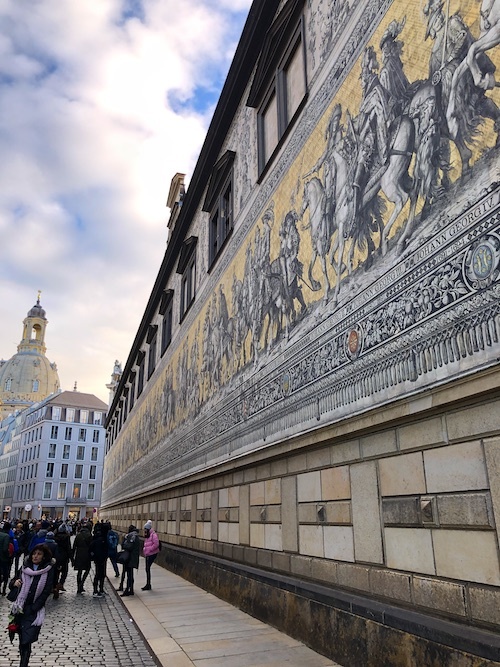 It is 102 meters long and consists of 25,000 tiles of Meissen porcelain. 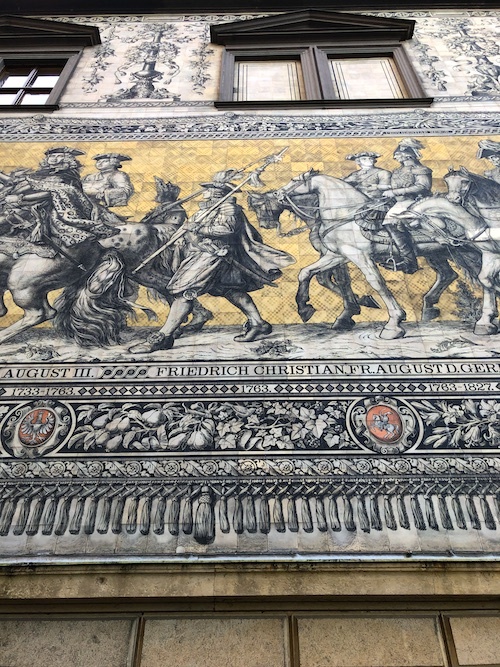 The artwork depicts the ancestral portrait gallery of the 34 margraves, electors, dukes and kings from the family of the Wettin dynasty who ruled Saxony between 1127 and 1873.